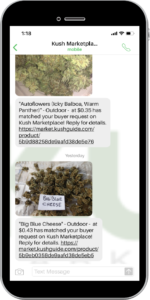 Did you know that Kush Marketplace can send you SMS alerts for the exact products that you’re interested in sourcing? Once you click this button you’ll be prompted by a form that says, “What are you looking for?” To set up your alert, enter your purchasing criteria, check the alerts box, enter your phone number. Once you click save, you’ll be taken to a page showing all of your requests and the number of current matches for each one. You will be able to see all of the matches by clicking the search. From here you’ll be able to request more info or make an offer. 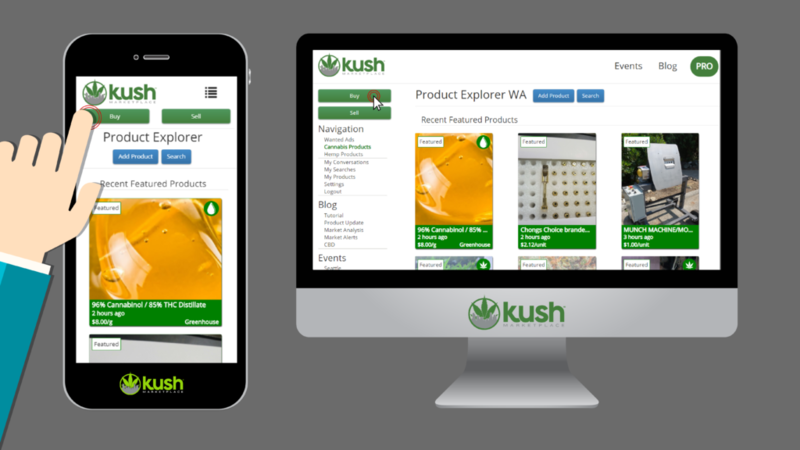 Now you will be notified every time a new product is uploaded that meets your criteria. You’ll be able to either reply to these messages and request more info or click the link to make an offer or request more information. If you’re getting too many notifications or not enough notifications, you can always navigate to your My Searches page and edit your criteria.